22 | September | 2015 | NOT IN MY WORLD!!!! ASHEVILLE, NC – More than a dozen officials came together Tuesday to commit to opening a Child Advocacy Center in Buncombe County. From law-enforcement to representatives from social services and Mission Health, the community pledged to join forces to better support victims of child abuse and prosecute more offenders. 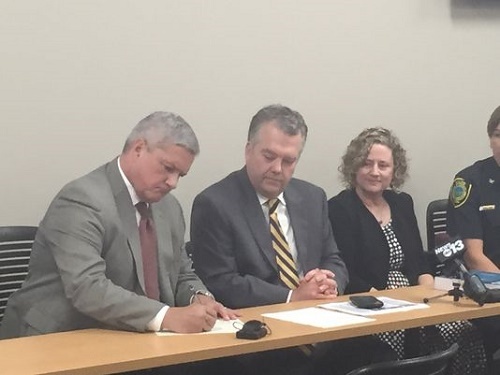 The new, multi-sector approach will allow officials to collect competent and credible evidence, increase convictions and create more positive outcomes for children, said Todd Williams, Buncombe County District Attorney. “In the DA’s office our focus is to prosecute abusers of children and if we can do that more efficiently and speed the recovery of children and reduce their trauma, that’s what we’re going to do,” he added. Before the New Year, local nonprofit Child Abuse Prevention Services plans join staff at Mission Children’s Hospital Reuter Outpatient Center to form the Child Advocacy Center. The project, which is integrated into plans to open a Family Justice Center downtown, will quadruple Child Abuse Prevention Services budget to more than $1 million. “It’s really us doing business very differently, and approaching how we deal with abuse and trauma in this county differently,” said Geoff Sidoli, the new executive director of Child Abuse Prevention Services. The collaboration among groups will keep the focus on the child, while having better outcomes in the criminal justice system and improving the sharing of information, said Dr. Cynthia Brown, a specialist in pediatric child safety at Mission Children’s Hospital. Young children tell stories differently than adults and it requires a certain expertise to gather information and reduce trauma, she said. With different groups working together, interviewers at the Child Advocacy Center will be able to approach victims with a cross discipline perspective, limiting the number times a child has to respond to questioning and improving the quality of evidence collected. GRAND JUNCTION, CO – Mesa County Partners, The Department of Human Services, and Court Appointed Special Advocates are teaming up to create a new initiative. There are over 80 children on the Mesa County Partner’s waiting list waiting for mentors just like Hudson. “A lot of kids don’t necessarily have a positive role model in their life so just to have somebody that’s in their corner to do fun stuff or help them study or anything like that is just huge,” said Blake Ammon with Mesa County Partners. 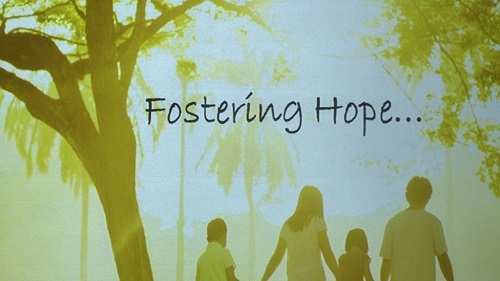 According to the Department of Human Services there are 272 children needing foster care families and 35 kids needing adoption. Court Appointed Special Advocate’s Janet Rowland says these children rely on volunteers and the community’s help. Getting involved with CASA is one of the best decisions Laura Taylor says she has made. “What you can give back to these kiddos that haven’t had what they deserve, it can be rewarding,” said Taylor. LOUISVILLE, KY – A new report shows fewer children in Kentucky died from abuse and neglect last year, but the state remains among the top 10 worst states for child abuse. In 2007, the state led the nation in child abuse deaths. Doctors said education and legislation both helped that decrease, but there is still room for improvement. The latest report from the state Cabinet for Health and Family Services shows 10 children in Kentucky died from abuse and neglect, and another 32 suffered life-threatening injuries. “It can break every socioeconomic barrier, so it can be in any family and any household,” Dr. Erin Frazier said. The number is down significantly from 2007, when Kentucky led the nation in child abuse deaths with 41. Health professionals said education is one reason for the decline. According to the state Cabinet for Health and Family Services, the leading cause of death is abusive head trauma or shaken baby syndrome in children less than 1-year-old, which Frazier said, usually coincides with the time when babies cry the most. “Babies cry, and sometimes, they cry a lot, and parents can’t always soothe baby, and that’s OK,” Frazier said. 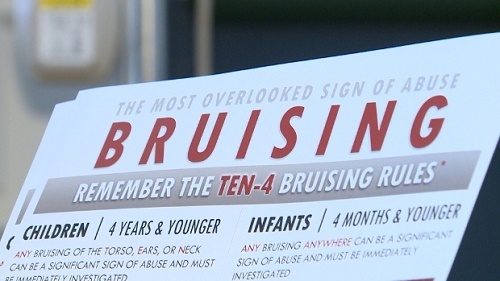 Frazier said strides in legislation with the passage of two House bills mandating training on child abuse have taught people what signs of abuse might look like and what to watch for, prompting them to do something earlier. “Children don’t die from first time of abuse. It tends to be a cycle of abuse over and over,” Frazier said. Hospitals throughout Louisville, including at Norton Healthcare, already offer training on new babies, which Frazier thinks is an idea that should spread to every facility in the state. Frazier also cautioned parents to do research before leaving their child with someone. If a child is being abused, report it by calling 1-877-KY-SAFE-1 (1-877 597-2331).